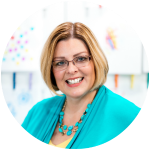 Have you noticed all the new and different types of duct tape and washi tape everywhere, but you weren’t really sure what to use it for? 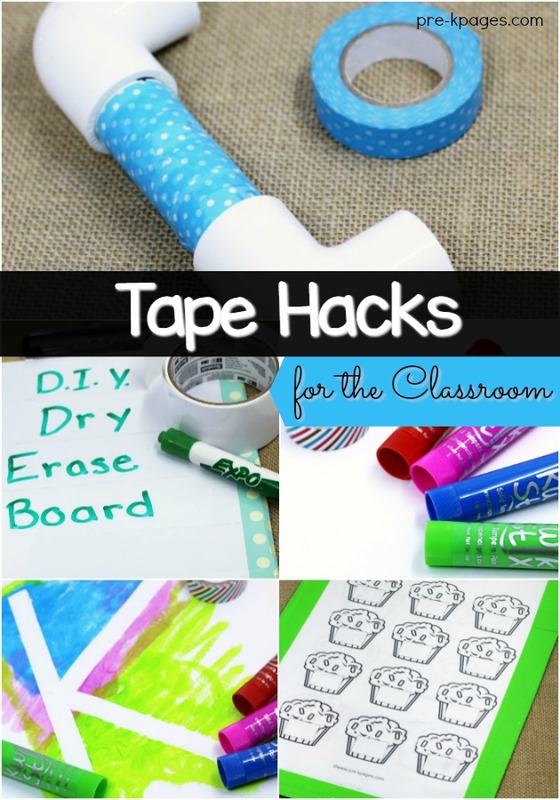 You’ll be happy to know that are ways to use tape in the classroom not just to decorate, but to make learning activities too! Here are some of my favorite ways to use colorful tape in the classroom for teaching and learning. 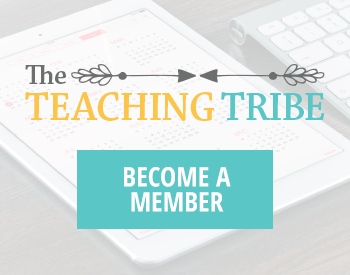 I don’t know about you, but I’m all about teaching cheap. Now that many dollar stores carry cute duct tape and washi tape it’s easier to find and definitely more affordable on a teacher budget. 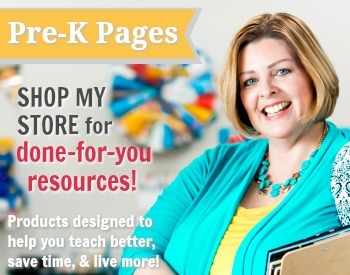 The next time you’re at the dollar store and you find some super cute tape, you’ll have some new ideas to try out in your classroom. I recently discovered this dry erase tape and instantly fell in love with it. 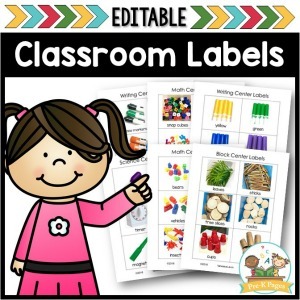 The possibilities for using dry erase tape in the classroom are endless. 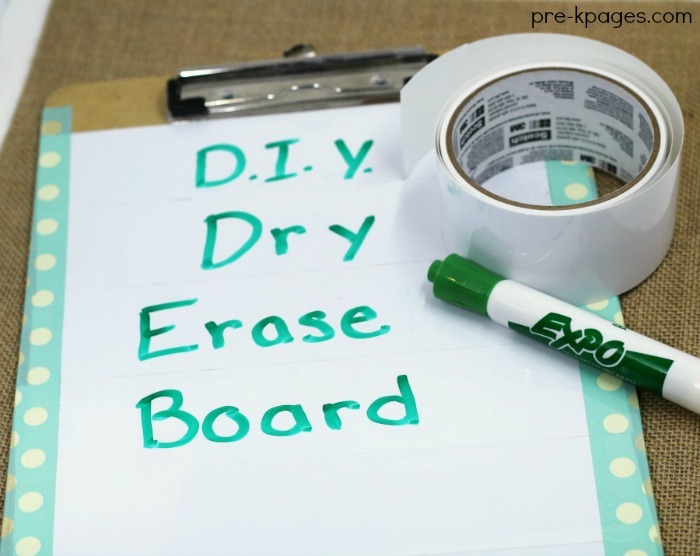 I took a few strips of tape and attached them to a clipboard to to create a dry erase board. Then, I covered the edges with a patterned duct tape. What could be more fun than painting over tape? Use inexpensive rolls of washi tape to make the first letter of a child’s name on piece of paper. 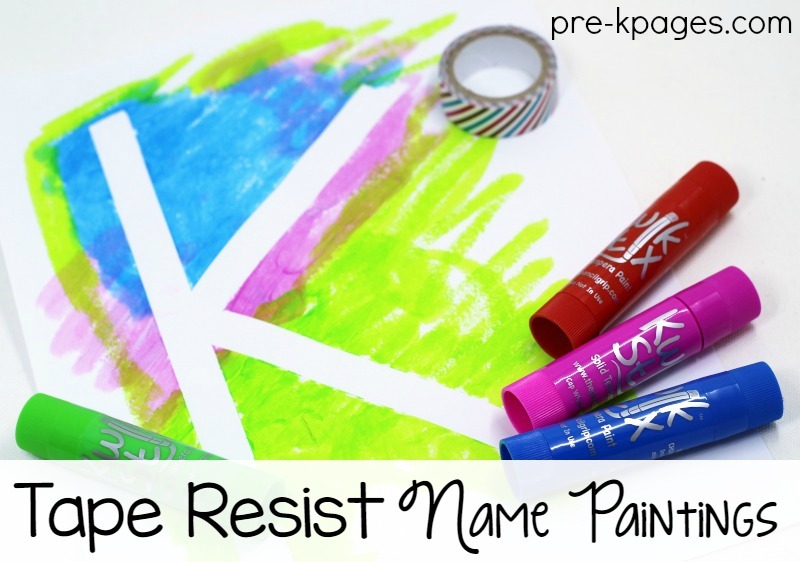 Then, invite the child to paint over the tape using regular tempera paint, or Kwik Stix– solid tempera paint sticks. If you’re using regular paint, wait until it dries, then remove the tape to reveal the hidden letter. If you’re using Kwik Stix, just wait 90 seconds, then remove the tape for the same effect. 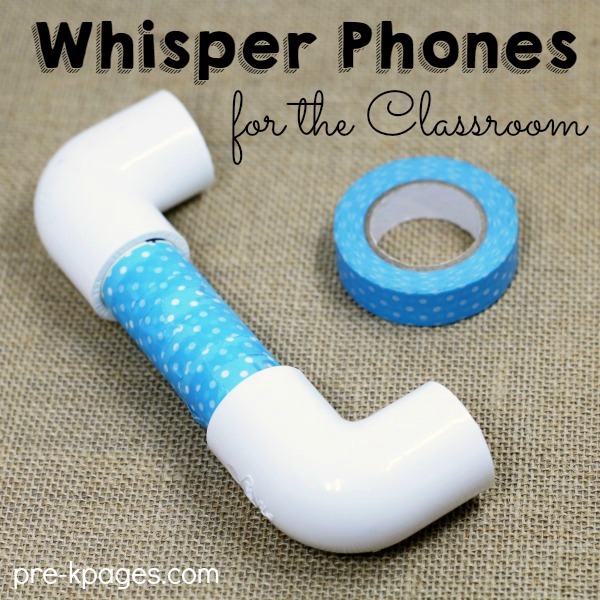 Have you made your own whisper phones? They’re super easy to make, just go to your local home improvement store and buy some inexpensive PVC pipe and elbows. You’ll need a PVC pipe cutter to cut the pipe into short pieces. After you have attached an elbow to each end of a short pipe, wrap your favorite patterned washi tape around the middle to spice up your whisper phones. 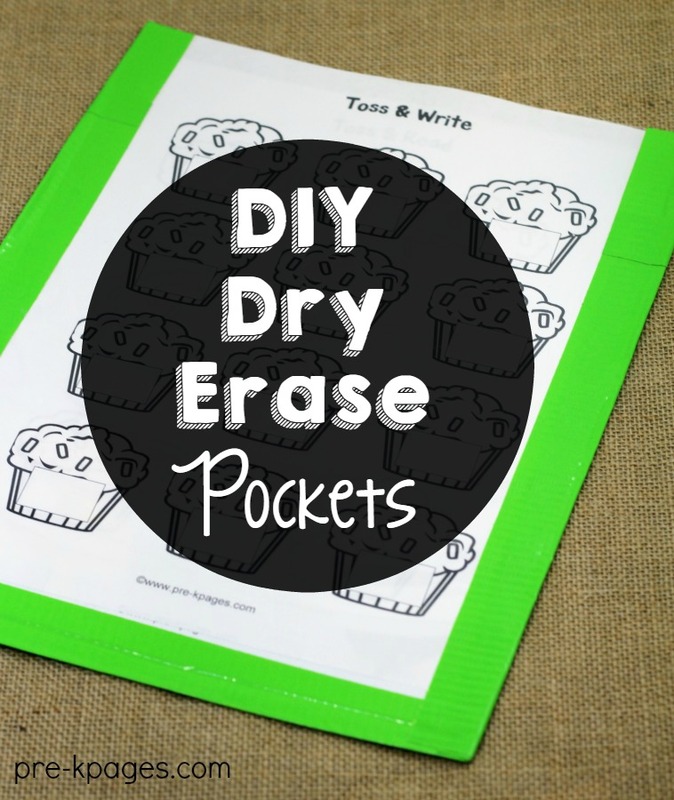 These dry erase pockets are so useful and easy to make you’ll wonder why you didn’t make them sooner! 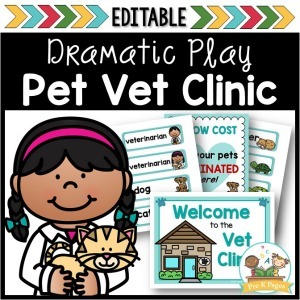 Cut a piece of lamination film into two 9×12 sheets. Then, add your duct tape of choice around the edges, leaving the top open to create a dry erase pocket. Now you can slip paper into the top of each dry erase pocket and change it out whenever you want. Follow my DIY board on Pinterest for more great ideas! Next Post: How Important Is Vision in Learning to Read?